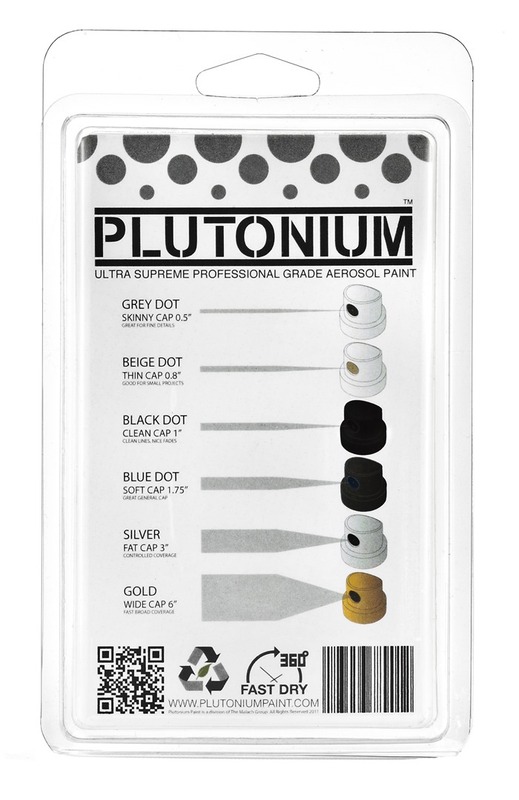 I was Plutonium™ Paint’s brand ambassador. I was compensated and given product in exchange for promotion of the brand. All opinions are 100% my own! Summer is the best time of year to have people over to your house “just because.” As much as I like throwing themed parties for my kids’ birthdays or putting together German dinner parties, casual gatherings of friends are my favorite kind of party. The kind of party where your friends show up in whatever clothes they were already wearing, where the closest thing to a cocktail is a lime added to the neck of a Corona, and where everyone sits and laughs without worrying about etiquette or propriety. That’s my jam. When we have people over for a simple summer get-together, we need to have a way to keep food or drinks chilled since we are likely going to be outside around a campfire. Coolers are a good option, but I wanted to kick up our game just a notch. 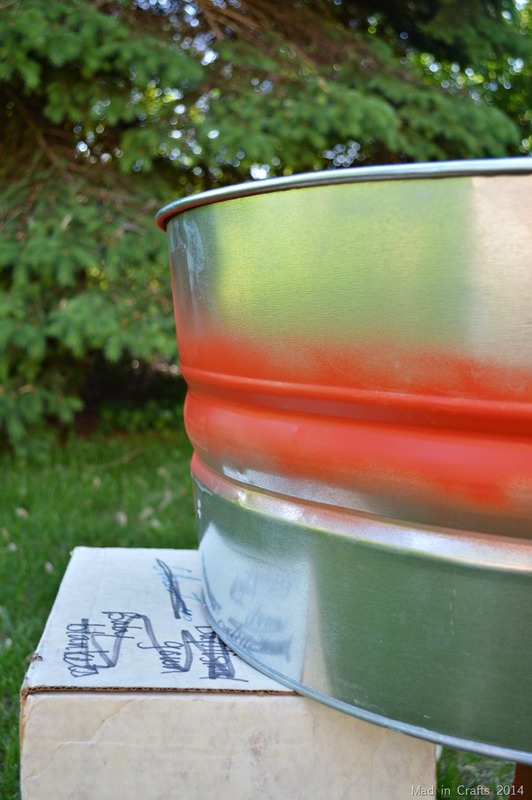 I bought a galvanized steel utility tub and added some ombre stripes with Plutonium™ Paint. 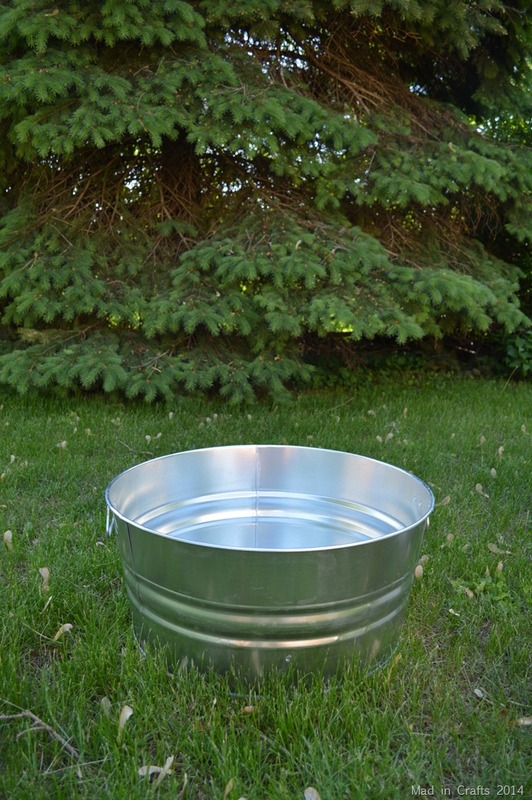 I found this galvanized steel utility tub at Home Depot for around $20, which I thought was a pretty decent price for such a large tub. 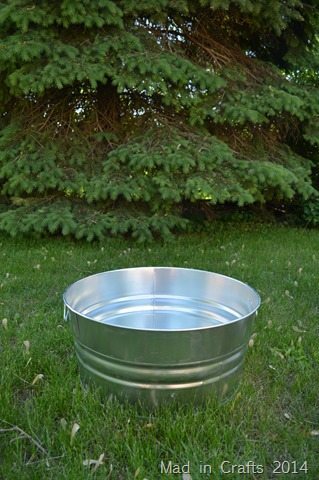 The tub holds 17 gallons of liquid, is 11” inches deep, and is 24” in diameter. It holds plenty of ice for food or beverages, and it easily fits a standard size beer keg with room for ice to keep it chilled. 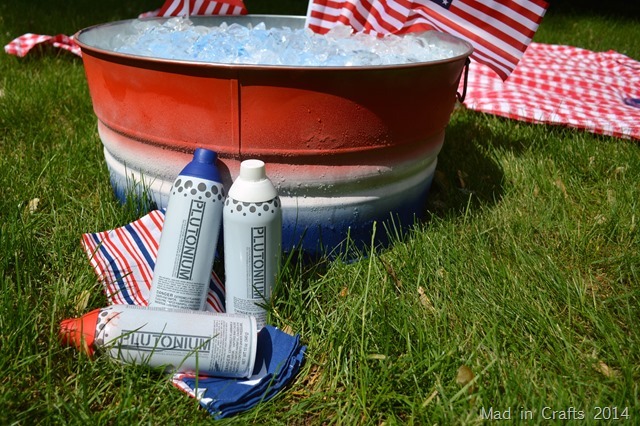 Basically it is the perfect accessory for an outdoor party… it’s just kind of blah. 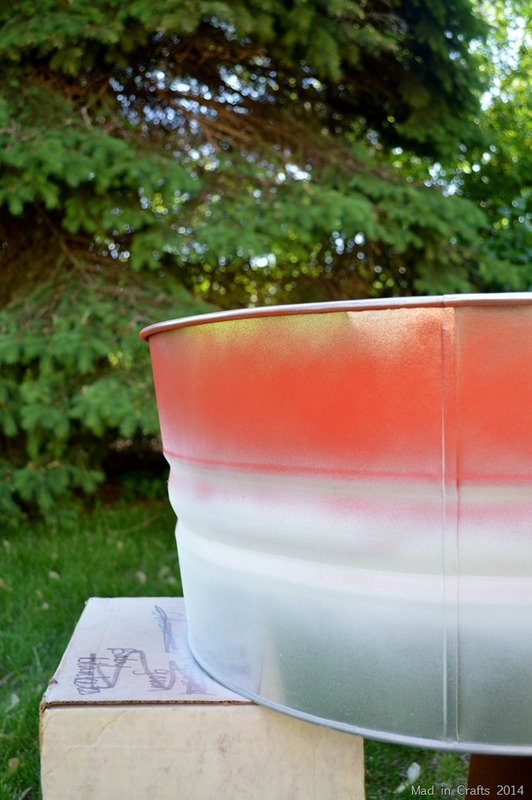 I wanted to give the party tub a custom look by painting on some ombre stripes. Galvanized steel is coated with zinc to prevent rust. Because of this coating, you will need to do some prep before painting the tub. Give the tub a good scrub with sandpaper or steel wool to rough up the surface. Then wipe it down with a damp cloth to remove any dust or debris. To make your finish last even longer, consider spraying the tub with a coat of primer before moving on to color. 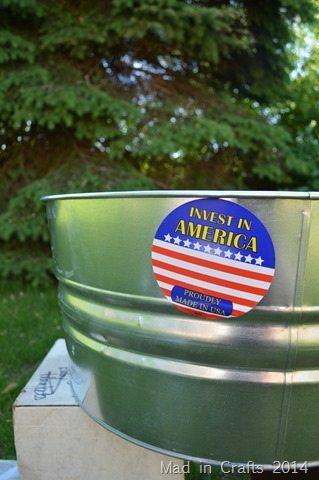 The tub is made from good old Pittsburgh steel. Do you know what else is proudly made in the USA? Plutonium™! 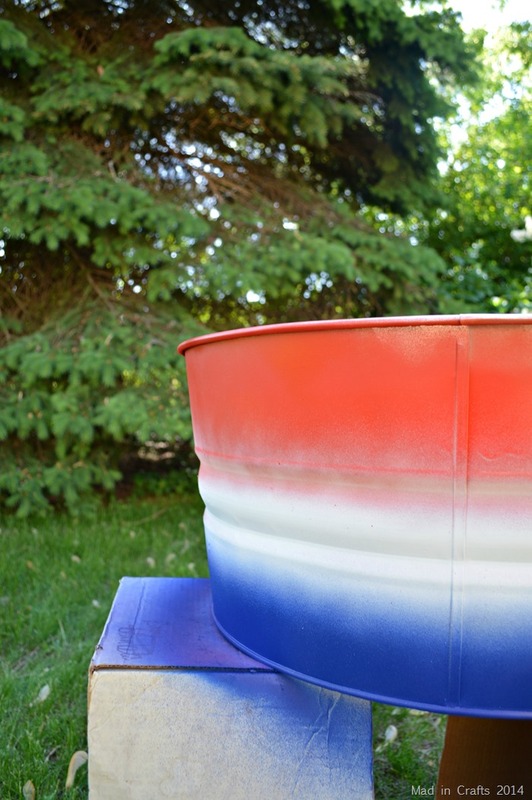 I chose to paint my party tub in red, white, and blue so that it would be good for most summer get-togethers. I mean, even if it’s not the 4th of July, you can’t really go wrong with a patriotic tub of beer, right? I chose Plutonium’s™ Red Alert, Polar, and Motown paints to get true red, white, and blue colors. Plutonium™ offers 40 bold colors in their palette, so you can customize your party tub however you would like. You could paint two ombre stripes in your favorite team’s colors and use the tub for tailgate parties. 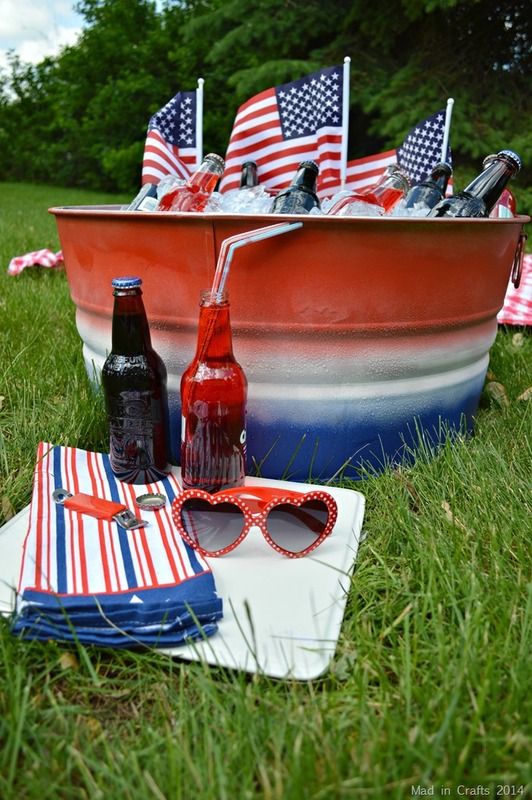 Or for or a graduation party, try painting the stripes in the graduate’s school colors. 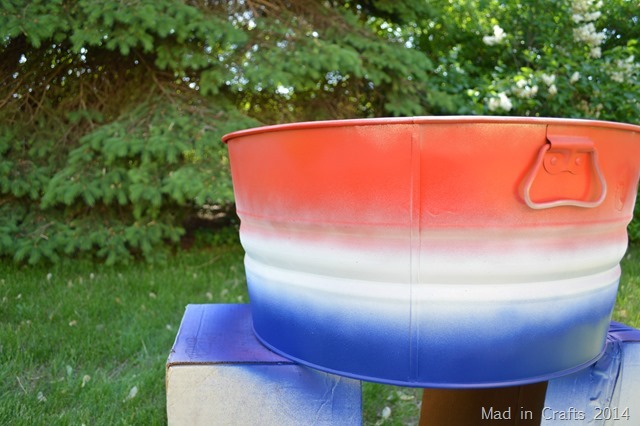 I started by giving myself a rough idea of where I wanted each of the color’s stripes to be placed on the tub. I sprayed one solid band around the tub with the Red Alert paint, holding the can about 5-6 inches from the surface of the tub. While you can definitely achieve an ombre look with Plutonium’s cans as is, the process is made even easier when you use a set of their Pro Caps. 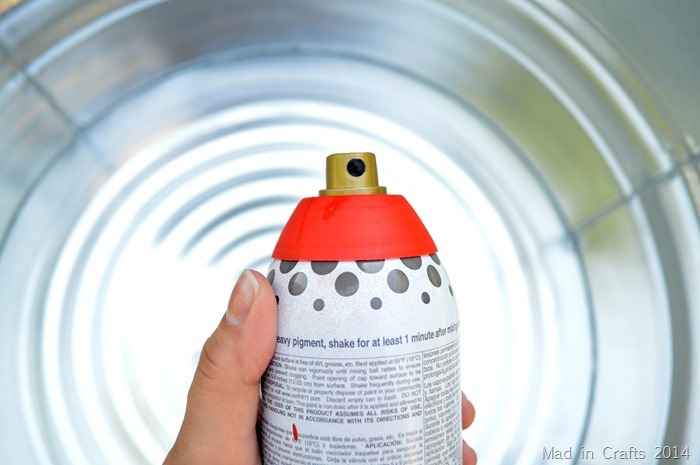 The interchangeable caps allow you to change the flow of the paint as it comes out of the can. The six caps allow for more control depending on the kind of project you are working on. I tried both the Gold and the Blue Dot caps for this project. I found that the Blue Dot cap really let me control where I wanted the ombre to fade while giving me enough coverage where I wanted it. Switching out the caps is simple. The cap that comes with the can pops right off. And the Pro Cap pops right on. You can switch out the caps as often as you need to. Here you can see how wide of a stripe the Gold Cap provides. I held the can about the same distance away from the surface of the tub for this pass around the tub as I did for the first band I showed you earlier. I didn’t have as dense of coverage with this cap, but it did cover a greater surface area. I continued down the tub with the Polar paint…. …And finally with the Motown. 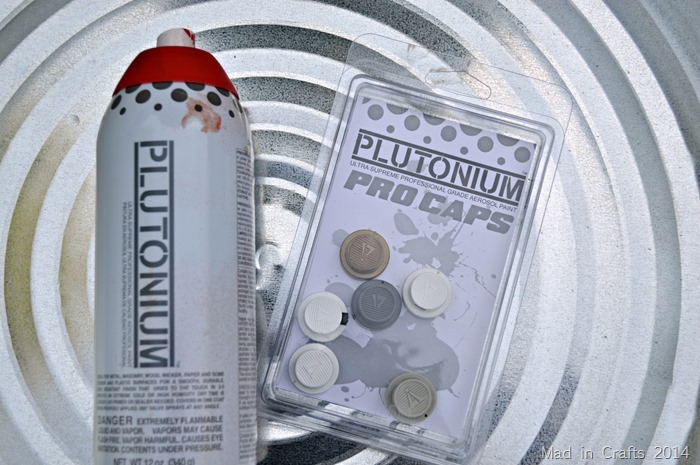 Since Plutonium™ sprays from any angle (including upside down! 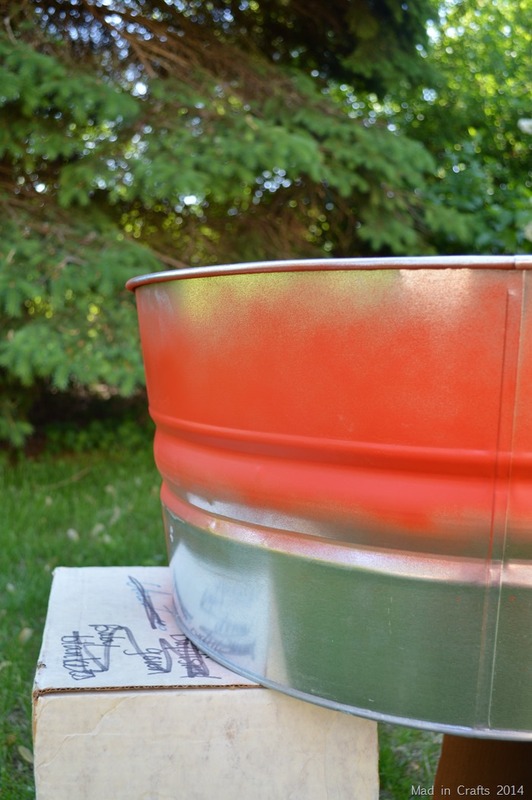 ), I could adjust the angle of the spray paint can as I needed to create the ombre fade. It took me about an hour of spraying to achieve this ombre look, and that includes allowing time for each band to dry before moving on to the next color. 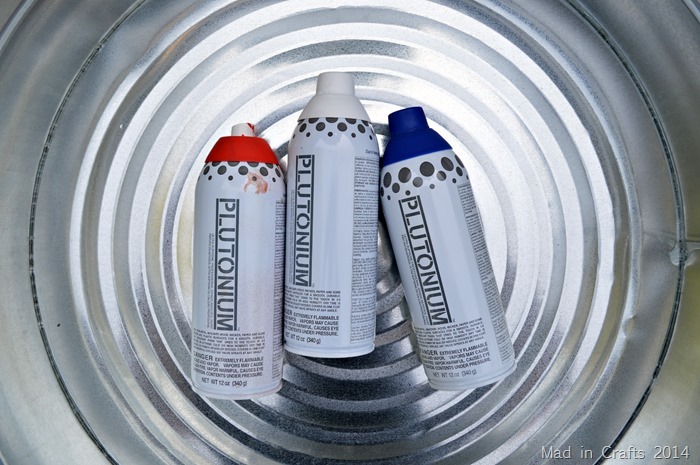 Plutonium™ dries so quickly that a project this large doesn’t have to take all day to do. 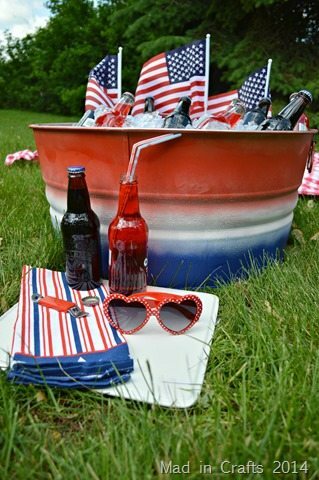 Set the tub out at your next picnic or cookout filled with your favorite beverages. The tub holds a lot (read: a crap ton) of ice, so your drinks will still chilled even on a hot day. 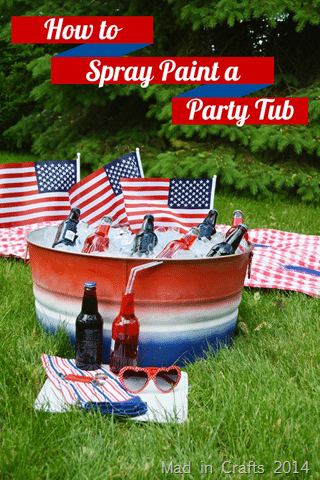 If you’d rather keep your beverages chilling in a cooler, you can still put your party tub to good use. 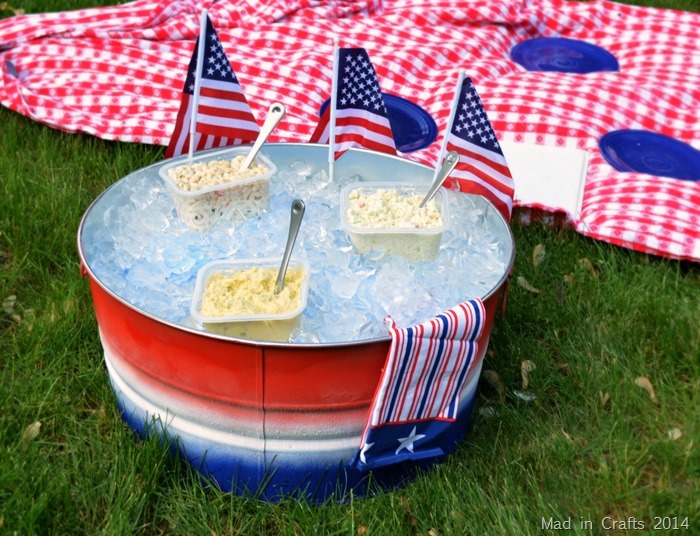 If you are serving salads at your next cookout, nestle the bowls into the ice-filled tub. The salads stay cold and your guests stay free of food poisoning. Consider this your encouragement to have some friends over “just because.” Paint up a party tub, have everyone bring over their favorite 6-pack, and just enjoy each other’s company. Happy Summer! What a festive project! 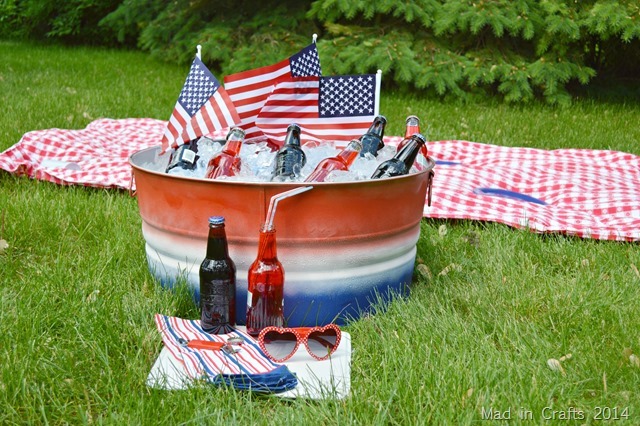 This would be great for any patriotic holiday! Those caps are the bomb – that’s enough reason for me to start using their paint! They are incredibly awesome, Amy! It's amazing the difference they make. 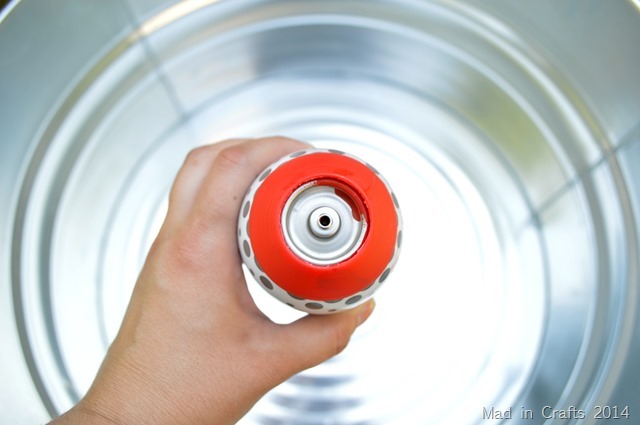 Setting the tub on a lazy Susan to spin it as you’re painting will make the job much easier. Just wear a glove on the “spinning” hand.